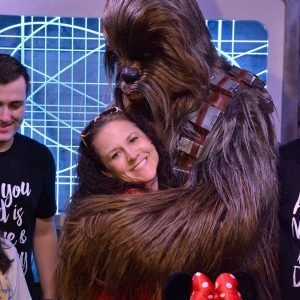 My husband always said our family should be on a reality TV show, so I started a blog! You know that spring has sprung when you walk down the aisles at the grocery store and see those cute and brightly colored little bunnies staring at you with those little dotted eyes. 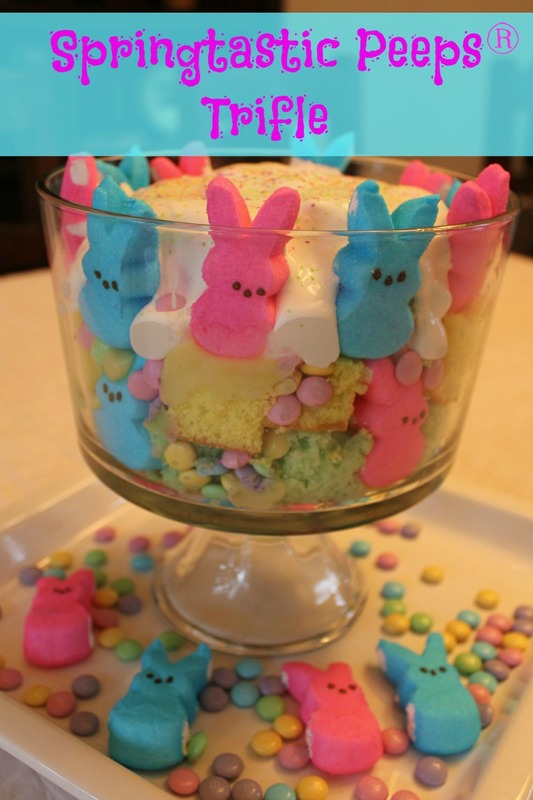 Since my family loves springtime and loves to eat little marshmallow and sugar-coated bunnies, I decided to make them a Springtastic PEEPS® Trifle. My Springtastic PEEPS® Trifle is a fun, colorful and super easy recipe to put together. The great thing about it is that you can make it your own. While the cake is cooling, make your pudding and store in the refrigerator until it is ready to use. Once your cake has cooled, cut them into little squares. After your cake has cooled, begin to create your Springtastic PEEPS® Trifle. 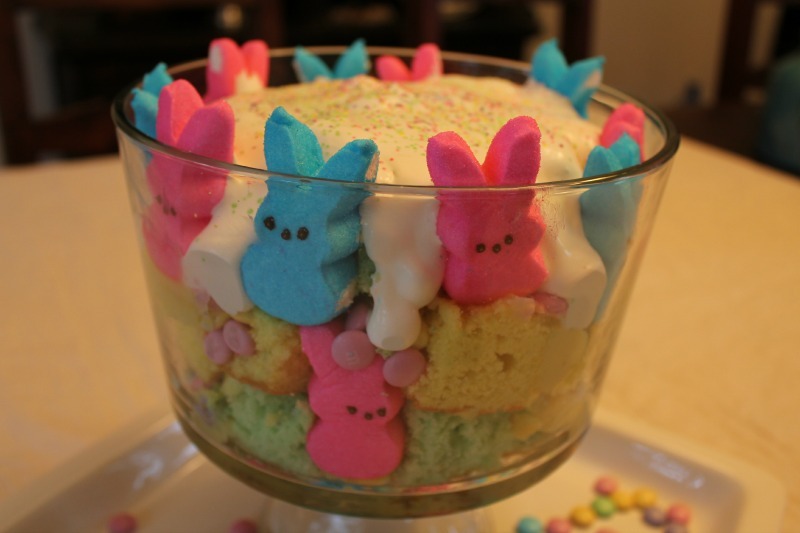 The trifle is a simple repeated layer of cake, pudding, colored chocolate candies, PEEPS® bunnies placed around the bowl and then topped with Cool Whip. Now onto some more amazing PEEPS® ideas! Hop through each post below to find delicious recipes, fabulous crafts, and more! You can visit PEEPS® on Facebook, Twitter, Instagram, and Pinterest! Don’t forget to check out their website for more ideas and recipes, too! I love the pink ones. I like the yellow original peeps best. They’re fun for decorating. And oh my goodness there’s a Yankee Candle (Peeps)??? Nice! Such a wonderful & fun recipe. It looks absolutely yummy & delicious. 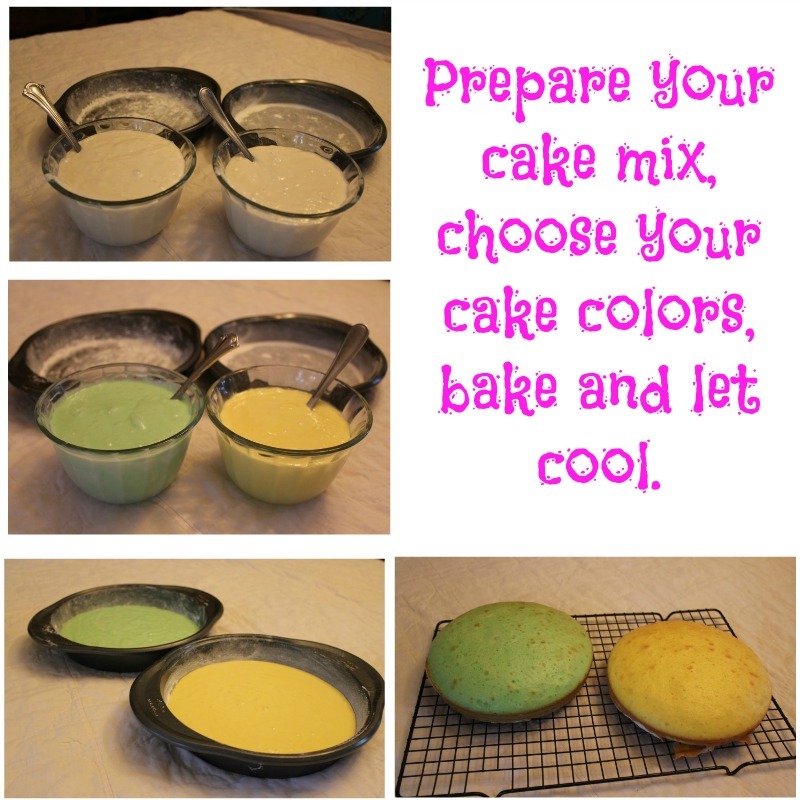 The colorful sprinkles add more cuteness to the entire recipe. My kids are going to love this. This looks amazing. I love Peeps. My kids do not but they still end up in the Easter baskets…go figure. My son has loved Peeps since he was little, so I always buy him some every year. Time to hit the store, I guess, and make this for him. It looks like a fun recipe. This would make for a delicious dessert! It’s just in time for Easter! I love peeps! This trifle looks tasty! I love this idea! What a tasty and creative way to celebrate Spring. 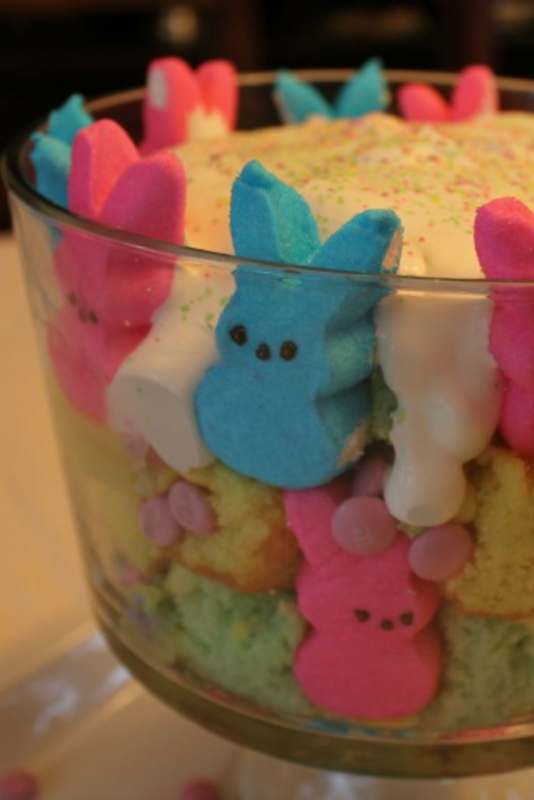 I love how you placed the Peeps along the inside of the bowl. So cute. What a fun cake to enjoy for easter. Those peeps really add a nice touch. Such a great and colorful idea for Easter, I really do love eating peeps! Wow, this is for sure one cute Easter themed dessert. I have always loved peeps, so I’m sure it’s quite yummy too! Very cute peep trifle. Looks so colorful too! I hate Peeps. I wish I loved them because they are so cute and your trifle looks awesome. Wow that looks really good! My kids would love making something like this. Look at those cute little bunny peeps! This looks like a delicious treat! This looks cute. It also looks yummy! These are so pretty and colorful for Spring time. I know my dad loves Peeps so much! He likes them a little stale though, so I would have to open the package a little while before I made this for him. lol What’s so funny is I know a lot of people who enjoy peeps stale. lol So weird but to each their own! I LOVE peeps! The peeps minis are my favorite. This recipe would look perfect on an Easter table. I loooove Peeps. It used to be such a treat to get them for Easter. Now, you can pretty much get them for any holiday. I try to limit for just Easter. This is such a fun dessert. I love Peeps and I’m glad they are available all year long now. They are really versatile when it comes to making desserts with them. THAT sounds awesome. Wow. What a fun dessert idea. Everything looks awesome in a trifle dish! Love your dessert! It’s perfect for Spring and Easter! I have not seen peeps out at my stores yes, but then again I have stayed far away from the “seasonal” sections too – not on purpose though. I love this idea. My kids would have fun helping make this. I can’t believe I’ve never made a trifle. I’d never even heard of one until my mother-in-law brought one to our house for a get together. But, they sure are good. This one is adorable and would work so well for an Easter meal. Too cute!! A winter or so ago, my husband bought me Peppermint Peeps that were the bomb! We’d drop them into a cup of homemade hot chocolate and about die it was so good. Since then I haven’t found them again. So sad. Thank you and I’m putting your Linky Party on my everyday Monday list! This really good- I’m sure my kids would love to dig into this. This is so cute and in plenty of time for Easter! Visiting from lovelyyoublog.com! Looks delicious divine. I am ready for spring, sun and fun that is what Springtastic PEEPS Trifle tweet look like. I may have to steal your recipe. Thanks for sharing. Visit Aimee Fauci's profile on Pinterest. Blog Design by Utterly Amazing Deisgns | COPYRIGHT © 2014 House of Fauci's.